On Thursday, December 15, 2016 at approximately 1:45 p.m., a 9 year old girl was near the clubhouse of the mobile home park at 400 N. 68th Lane. The girl was approached by the suspect who then told her she could not leave while grabbing her by the waist and covering her mouth. The girl was able to escape the hold of the suspect and run away. 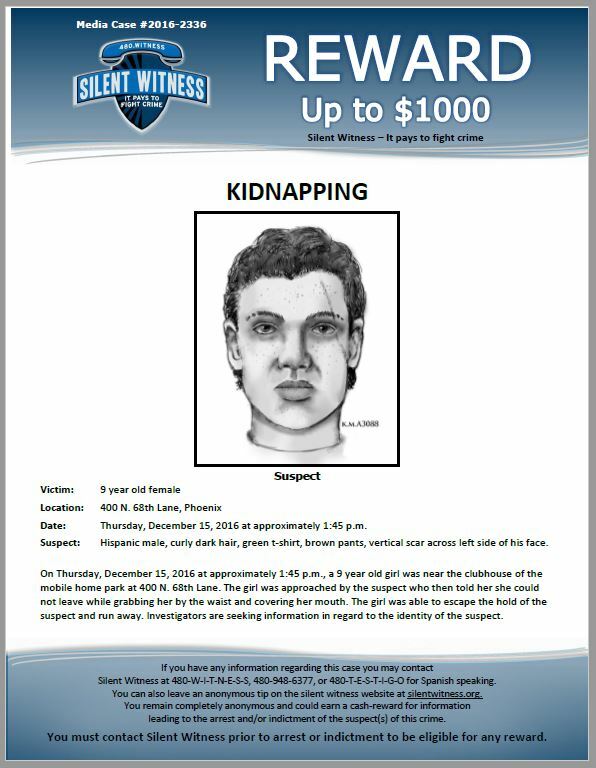 Investigators are seeking information in regard to the identity of the suspect.